NEW PRODUCT – Pimoroni PiBrella « Adafruit Industries – Makers, hackers, artists, designers and engineers! No, the Pibrella doesn’t protect your Raspberry Pi during a rainstorm. You can’t go dancing in a monsoon with your Pibrella and your Raspberry Pi, singing and clicking your heels because your credit card sized computer has stayed completely dry. But you’ll want to (or at least want to sing and dance) because with the Pibrella you can drive motors, make sounds, and learn basic electronics interfacing for the Raspberry Pi. It’s a really simple add on plate that plugs straight into your Raspberry Pi Model A or B’s GPIO header. All of it’s easy to use, clearly labelled, and perfect for beginners. The Pibrella’s designed to drive bigger loads than the Pi GPIO can handle, with indicator LEDs for I/O channels to make debugging easy. It’s the perfect add-on for classrooms, clubs, and just general Pi beginners. 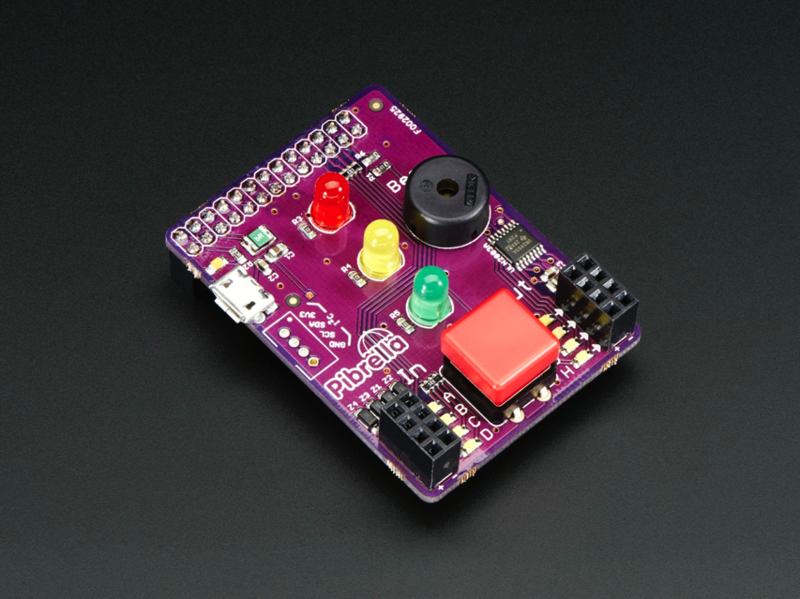 The PiBrella also works with Python or Scratch and has a USB power connector so you can add more power to anything you connect to your outputs. There’s a lot more information, including diagrams and set up information, at the Pibrella site.